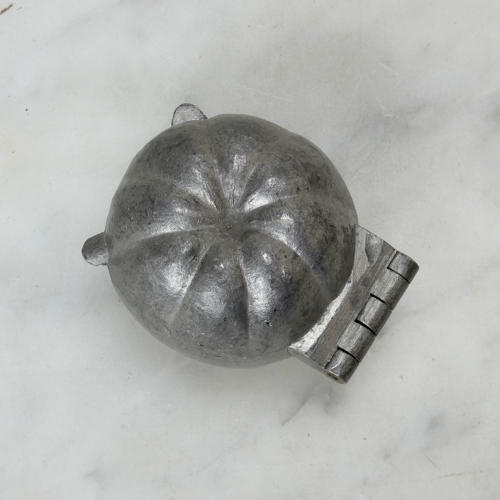 A small pewter ice cream mould in the shape of a squash. This mould has no manufacturers marks and it date from c.1890. It is very well detailed and it is in excellent condition. The exterior has a pale patina and the interior is in very good, bright, usable condition.